"Toys are children's words, and play is their language," Garry L. Landreth. 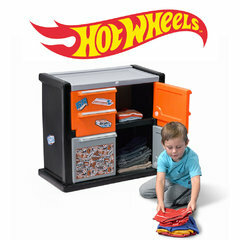 No childhood is complete without toys and playtime, but as all parents know mess and clutter usually comes hand-in hand! Our Step2 direct range of kids toy boxes and storage options are the perfect solution to keep your child's growing collection neat, tidy and organised. 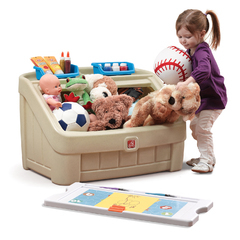 With our variety of toy storage box and toy storage shelves products to choose from, you'll be able to ensure their playthings are kept in one place, easy to find and reach, while also encouraging your child to learn how to keep things clean and organised at the same time. 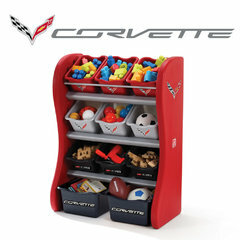 Enabling you to keep clutter off the floor so you'll never trip over one of those little building blocks, toy cars or dolls again, our range also includes toy storage organiser options with compartmental boxes to arrange your kids toys and items into sections and categories, and shelf-display for easy-viewing and space saving options. 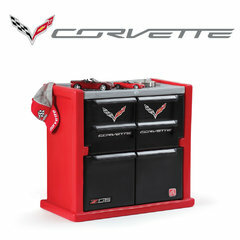 Our online variety of toy boxes and storage options for sale online can set you on the path to organising your home and life today!